If you've driven in a state other than Florida, it doesn't surprise you to learn that not all traffic laws are universal. From speed limit laws to when to yield for fellow motorists and even how to enter the highway, Florida has its own unique rules of the road that may not apply a few states over. Unfortunately, with an influx of tourists and part-time residents each year, many drivers are unaware of Florida driving laws. Even full-time residents can confuse these law sometimes. In addition to the 5 common traffic laws people break, let's discuss seven Florida driving laws many drivers get wrong. If you're a native Floridian, you learned to drive being able to make a right turn at a red light. Many other states uphold this traffic as well, though in cities like New York a right turn at a red light is restricted unless proper signage states otherwise. While many might be aware of the ability to make a right turn at a red light in Florida, many fail to follow proper protocol while making the turn. For one, make sure there is not a red arrow on the stoplight. This arrow indicates that you cannot turn right on red, and doing so would be breaking Florida traffic traffic laws. Next, you must come to a full stop prior to making the turn. Florida law states that you cannot coast through the turn, even if all appears to be clear. Instead, come to a full stop at the crosswalk or the limit line prior to completing your turn. While we frequently discuss the dangers of speeding, be aware that driving too slow is also against the law. In Florida, you can be issued a ticket for driving too slowly. Motorists should drive with the flow of traffic, within the posted speed limit. A driver should not drive so slowly that they block other vehicles moving at normal, safe speeds. Doing so could increase chances of an accident. In 2002 the state of Florida passed the Move Over Act. This legislation requires drivers to move over into the next lane or slow down to at least 20 miles below the posted speed limit when approaching emergency vehicles that are stopped on interstates or other highways. While failing to adhere to the Move Over Act breaks Florida law, it also puts law enforcement officers at risk. Any accident that would ensue had a driver failed to adhere to the Move Over Act could be ruled that the at-fault driver was negligent. In the state of Florida, a bicycle is legally considered a vehicle. Bicyclists using a public roadway are considered operators of motor vehicles, and are responsible for observing traffic laws. For both cyclists and motorists alike, it is crucial to remember this law. Florida law states that whether you're riding on two wheels or four, you're sharing the road. The purpose of the entrance ramp of highways and interstates is to safely and efficiently merge oncoming traffic into the stream of vehicles already on the roadway. Drivers entering the highway should not be slowing down or stopping. Actually, when entering the entrance ramp, a driver should gradually increase his or her speed such that they can safely signal and merge into the right line of traffic. Driving too slowly can result in an accident, as the cars already on the roadway must suddenly slow down to accommodate the new driver's speed. This also leaves the cars entering the highway behind the slow driver with inadequate time to gain their own speed. However, this is not to say that you should rapidly accelerate when entering the highway. This too, could result in an accident. The rule of thumb in Florida is to speed up as the entrance ramp straightens into an acceleration lane. Try to adjust your speed so that you can move into traffic when you reach the end of the acceleration lane, ensuring a smooth transition. Stopping for pedestrians is a driving law you frequently see broken when driving by an area like the beach. In Florida, you'll notice posted signs that state traffic yields to crossing pedestrians. However, many drivers fail to adhere to this law. Failing to yield to a pedestrian when proper signage is present can result in the at-fault driver being found negligent if the pedestrian receives any injuries when an accident occurs. Last but not least, Florida laws that are broken daily concern buses on the roadway. Whether they be school buses or public transit buses, many individuals fail to yield when necessary, creating a dangerous situation for all involved. On a two-way street or highway, all drivers moving in either direction must stop for a stopped school bus that is picking up or dropping off children. Drivers must remain stopped until all children are clear of the roadway, and the bus signal has been withdrawn. Violation of this law is considered a moving violation and is subject to a mandatory hearing. For public transit buses, all drivers should yield the right-of-way to a bus traveling in the same direction which has signaled and is reentering the traffic flow from a specifically designated pullout bay. Trying to speed around the bus could result in an accident, and failing to yield to the bus could result in a traffic violation. While traffic laws may vary from state to state, it is essential that all drivers be aware of the laws for the area in which they are driving. Remember that it is your responsibility as a driver to thoroughly understand traffic laws, and to obey them accordingly. If you've recently suffered injuries as result of an accident caused by a negligent driver who failed to obey traffic laws, contact Weinstein Legal today or fill out a free case evaluation form. 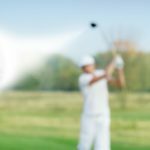 Golf Course Injuries: Who is Liable? 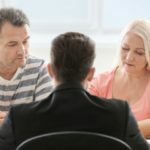 What Is Cause of Action in Florida Personal Injury Law? 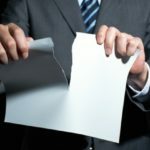 Can You Fire Your Personal Injury Lawyer? Justin was referred to me by a friend who had been represented by him and enthusiastically encouraged me to connect with him when I was wary of pursuing legal action. My reservations were quickly eased during my initial consultation. Justin is an absolute professional and took the time I needed to explain the process and his role thoroughly. His sincerity, empathy and commitment to advocating on my behalf were apparent. Throughout, he maintained consistent communication each step of the way until my case was resolved. I would recommend Justin without reservation to anyone seeking representation. Mr. Weinstein and his team are true professionals. They carefully walked me through every aspect of my case to ensure that I was well-informed and confident in the decisions we had to make. They made it easy and I'll personally recommend them to my friends and family moving forward. Mr. Weinstein has handled many of my PIP cases from my chiropractic office. He has done an excellent job helping us get paid on cases that were not paid properly. He has always been very persistent, handled everything quickly, and is always available for questions. I would highly recommend him, and look forward to working together in the future! Mr. Weinstein has represented me more than once over the past few years. His firm is dedicated to client satisfaction and results. He has always been honest and direct in all of our professional matters. He gives his clients his direct cell phone number which is answered day or night. His firm treated me like family and because of this I have recommended him countless amounts of times to my family and friends. Mr. Weinstein is a fantastic attorney with whom I have the utmost respect for. As an attorney myself, practicing a completely different area of law (criminal) when I needed an attorney to handle my personal injury case, Mr. Weinstein not only took his time to review my case but walked me through each and every step with the patience and respect I aspire to provide to my clients. Mr. Weinstein is a results driven, ethical and professional attorney who will zealously advocate on your behalf, just as he did mine. I can’t thank him enough.